On Sept. 4th, 2012, I was hired by ChAIR Entertainment (Epic Games' studio in Salt Lake City). I will continue to provide updates to the tools on this site, and I will try to continue responding to comments/emails about the tutorials, but I may not be able to continue writing more tutorials due to the possibility that it could breach the conflict of interest contract that I signed. This site will remain up and available for the foreseeable future. Thank you for your support and good luck with all you do! 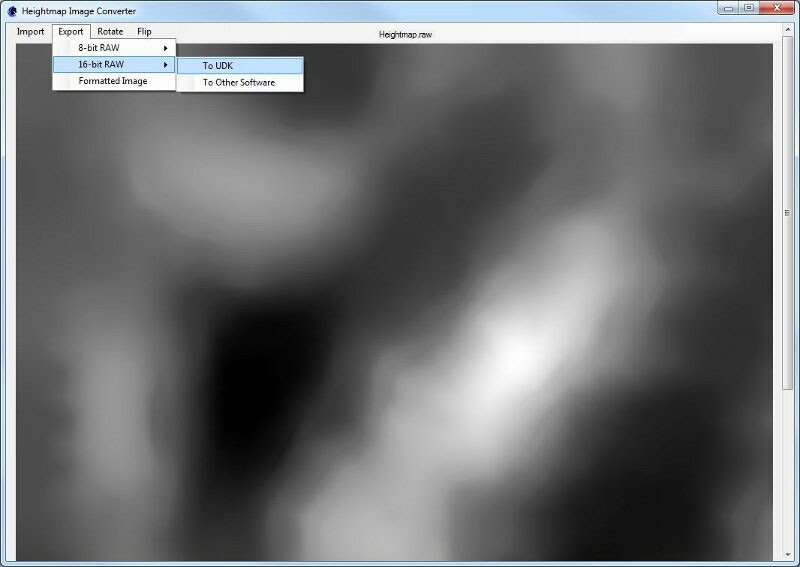 Various bug fixes and performance improvements have also been implemented. Download PSMU 2.5 to see what's new. Although not game development related, Mavrik has made a small utility available that helps keep track of software package installers for software you use. The Software Inventory Manager reads in an XML file that lists software installers grouped by category and displays a brief description and a link to the installer, whether that link points to a location on your hard drive or a url. The XML file can be edited to include any category and software installer you want, with a link, a description, and a name. 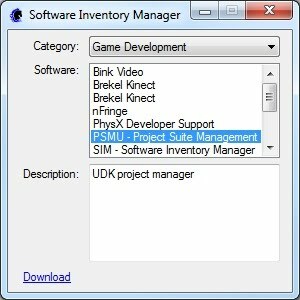 The SIM Installer package includes an example XML file and can be downloaded here. Mavrik has written a three part tutorial that goes over everything you need to know to create your own melee weapon system for the UDK. Visit the Tutorials page to get started. 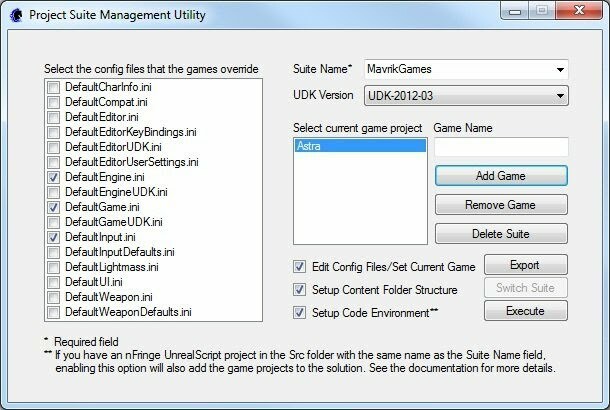 Mavrik has created a free application that helps manage the UDK game development environment. 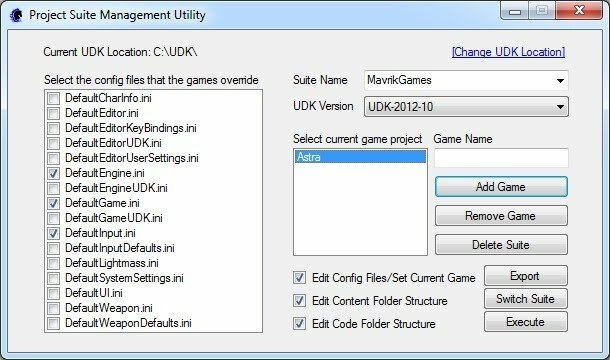 It sets up an organized file structure, facilitates multi-game development using a single UDK installation, and even provides base level code and content to help get you started. You can read the documentation here, and download the PSMU application here.